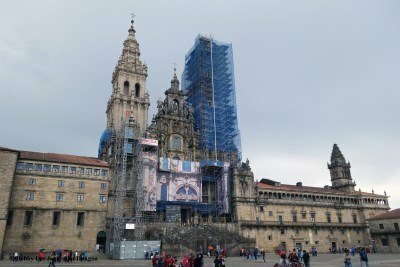 502 miles, 47 days, and 25 blogs later, I present to you my travel guide to the Camino de Santiago. There are many routes to take to arrive at the Cathedral in Santiago de Compostela, the destination that hundreds of thousands of pilgrims have been walking to for over 1,000 years. I chose to walk the 482-mile Camino Francés from the border with France, across northern Spain. Then I chose to walk an additional 20 miles up the Atlantic coast in Spain on the Camino Finisterre to Muxía. 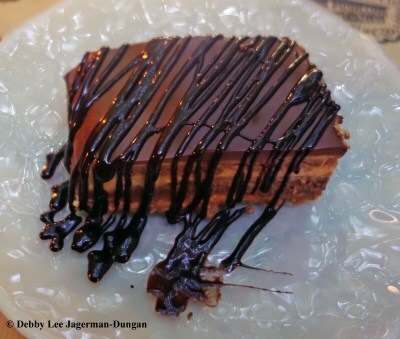 I include links within each section of this travel guide to my blogs for further reading. These blogs contain information based on my experiences for backpacks, accommodations, footwear, food, water, mileage, hiking poles, The Pyrenees, guidebooks, helpful websites, and more. 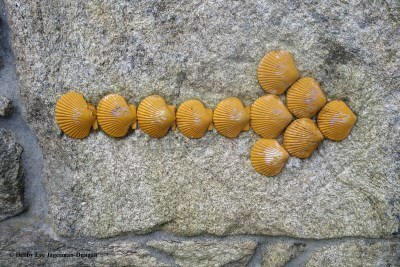 The symbolic scallop shell, yellow arrows, cement markers, and other various signs aid in navigation along the Camino. 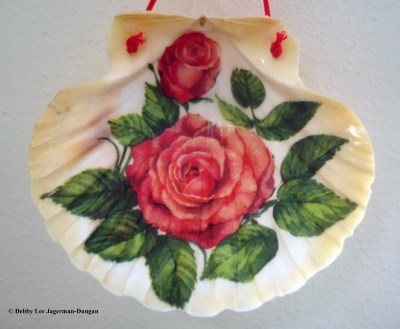 These blogs have more information on these, as well as some fun pictures. 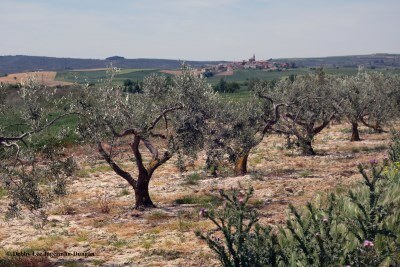 You will experience some amazing scenery anywhere and everywhere along the Camino. I took over 5,200 pictures. It was hard to narrow it down to choose 22 of my favorite landscapes pictures, and 13 photos of the street scenes from the 166 towns and villages along the Camino Francés. 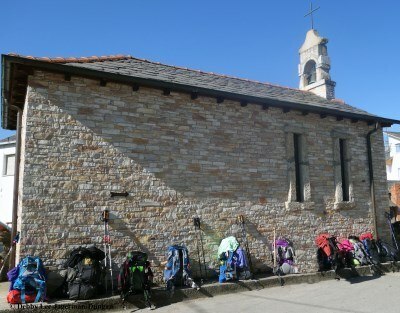 The Camino de Santiago routes are pilgrimages for religious reasons. My pilgrimage was more spiritual, yet I went inside each and every open chapel, church, cathedral, and even a few monasteries during my Camino. Sometimes when you travel, even on a Camino, you happen upon some unique adventures. For me, this included spending a few hours volunteering at a 12th century Abbey, and seeing a local festival. My birthday happens to be on Groundhog’s Day, so I also took a picture of Punxsutawney Phil with me in order to enter a photography contest. I wonder how many other people had that unique experience? After 482 miles, 42 days, 2 blisters, 6 pairs of shoes, 14 pounds in my backpack, 2 shirts, a sweater, rain gear, 2 pairs of pants, 4 pairs of socks, and a 1 ounce tube of toothpaste, I made it to the destination that hundreds of thousands of pilgrims have been walking to for over 1,000 years. The place where people pay homage to the shrine of Saint James the Great, one of Jesus’ 12 apostles, the Cathedral in Santiago de Compostela. 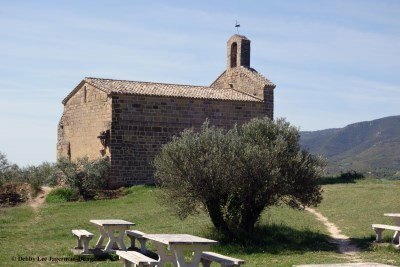 The other blog in this section is information on how peregrinos obtain their Compostelas by filling their Credencials with sellos as they walk the Camino. 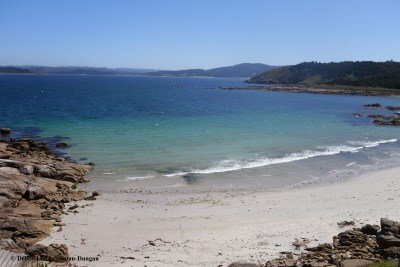 After the Camino Francés, I took a bus to Finisterre, “the end of the world.” I spent a day there exploring the town, the beaches, and the lighthouse. Then I walked a beautiful 20 miles up the coast to Muxía, filled with views of the ocean, more beaches, and a another lighthouse in Muxía. I also hired a taxi driver to take me to a two extra lighthouses not on the Camino! “Don’t worry. Keep Walking. Love always.” And other words of wisdom found along the Camino. And a collection of some of the small chachkies I purchased along the way. My favorite subject to photograph when I travel is windows and doors. Out of my 5,200 pictures total taken on my Caminos, 1,300 of them were of windows and doors. This book contains 285 of the best of the best of the best pictures. 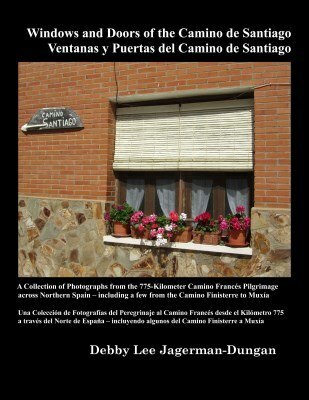 Translated into Spanish as well, whether you have walked some or all of the many Camino de Santiago pilgrimage routes; or are preparing to make a journey; or even if you have an interest in the Camino de Santiago, Spain, or windows and doors, I hope the pictures in my book either bring back enchanting memories, or are inspiring to you. Muchas Gracias! Buen Camino! Ultreïa et Suseïa! 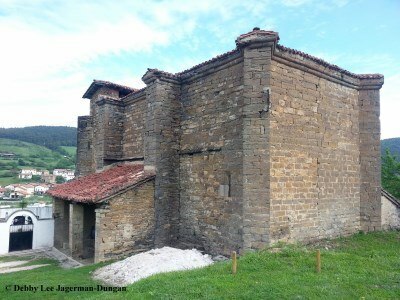 This entry was posted in Camino de Santiago, My Travel Guides and tagged Camino de Santiago, My Travel Guides by debbysdepartures. Bookmark the permalink.